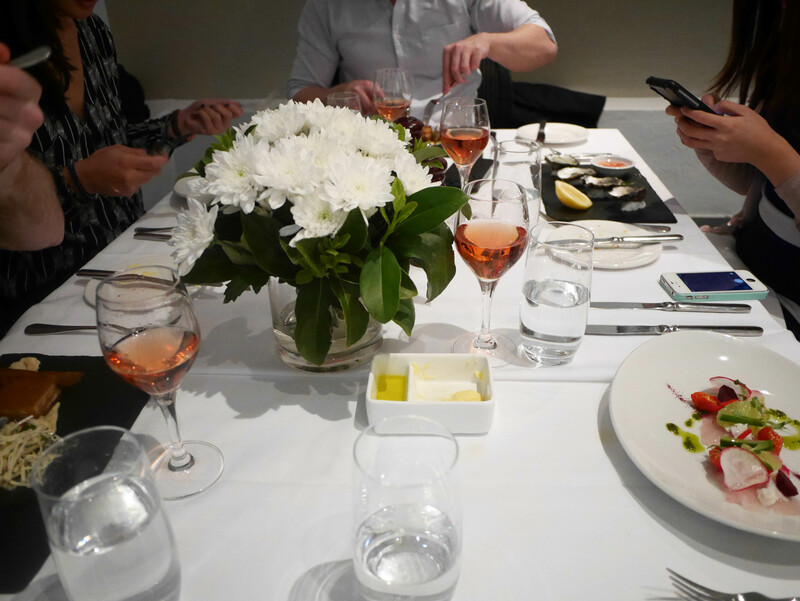 One of my first meals back in Sydney was with some friends of mine at William Blue Dining. Another friend of ours who has since gone overseas often raved about the good value of a meal here. It’s not hard to see why when $38 gets you a three course meal with complimentary bread to boot. Entering William Blue almost half an hour late (sorry friends), here’s a pro-tip for you. Make sure to key ‘William Blue Dining’ and not just ‘William Blue’ into Google Maps because while they’re both located at The Rocks, they’re not in the same location. The former is the restaurant while the latter will probably take you to the school of hospitality and management. This is the reason beyond the affordability of the food, both kitchen staff and waitstaff alike are students in-training for the hospitality industry. Full menu can be viewed here. Considering how late I’ve made everyone, I decided to forgo being an annoying food blogger and let people just eat their food already. This doesn’t dissuade me taking photos of my own courses though. My first dish is seafood in the form of kingfish ceviche, blue swimmer crab, baby coriander, lime, chilli and mustard cress ($11). Beautifully presented however it was very, very sour. I love ceviche and I love refreshing flavours. I’m someone who prefers Granny Smiths over Pink Ladies. 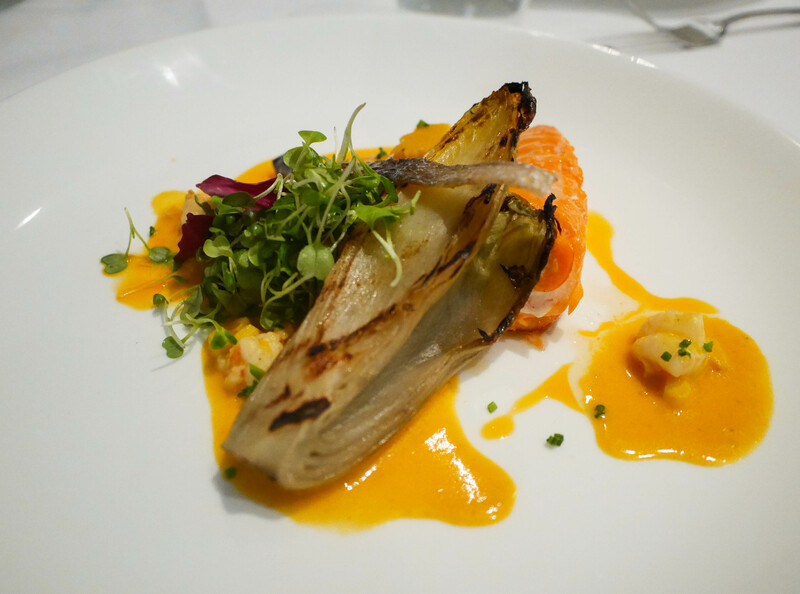 But the balance of flavours here was completely off, bordering on unpleasant. 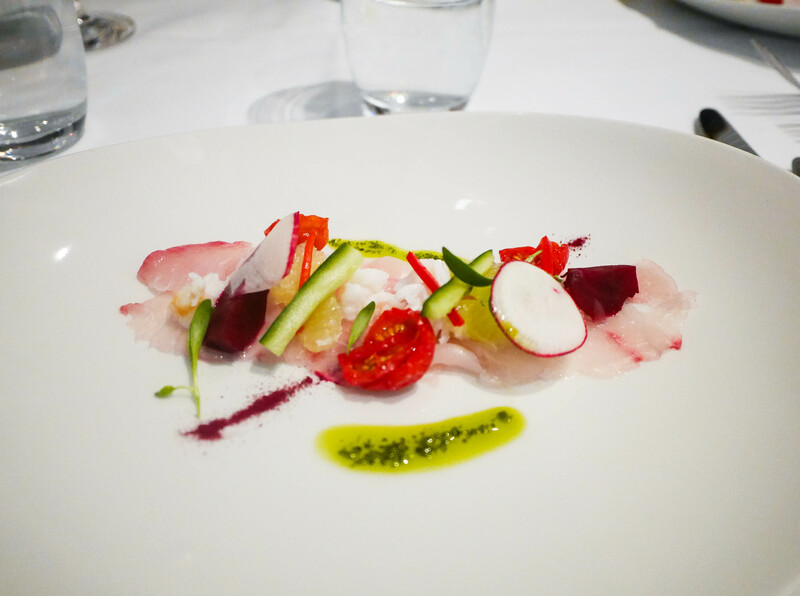 Thankfully the kingfish was still quite palpable although any trace of that “fresh taste” was completely indiscernible. You could only tell that it was fresh because of the texture. The two pieces of beetroot turned out to the the dishes’ saving grace. As long as you ate every mouthful with a bit of beetroot, it managed to nullify the acidity. Dinner table view, it was really very nice. 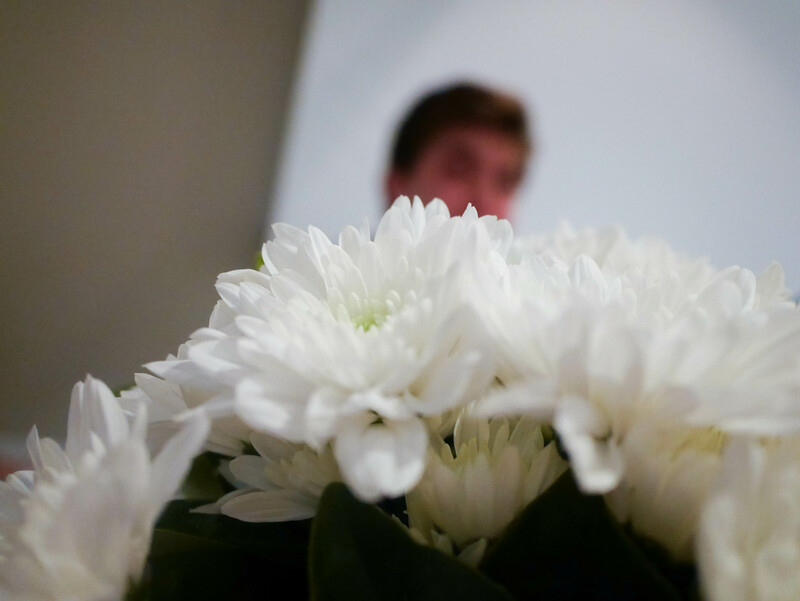 The flowers were a great touch. And you can see remnants of our Pepe Saya butter which we had spread generously onto our bread earlier. 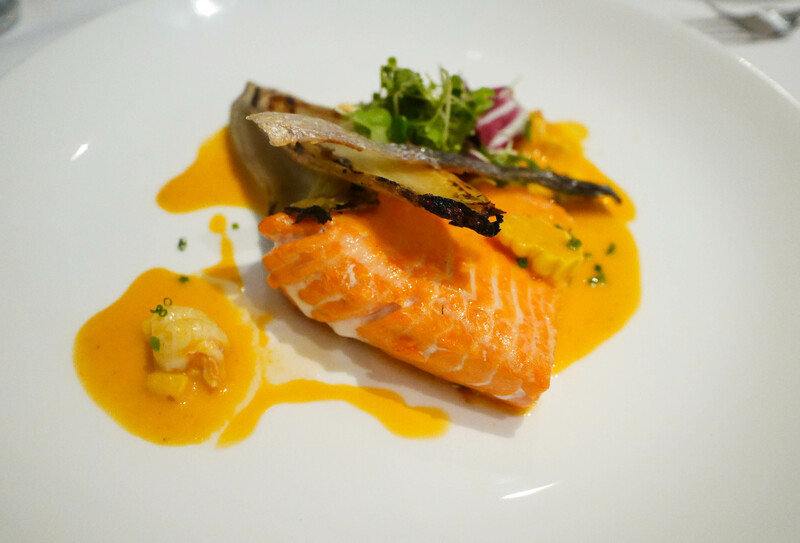 My main was a grilled Ora King salmon fillet with crispy skin, pink pepper sauce, sweet corn, prawn, chives and braised witlof ($18). The fish for me was cooked beautifully. I like the middle to still be quite pink so that pressing against the piece with a fork causes everything to fall apart. Unfortunately for my two other friends who also ordered the salmon, one was undercooked while the other overcooked. It might just be a matter of preference amongst the three of us, I can’t verify as I didn’t try theirs. Surprisingly I managed to finish every last piece, considering I’m usually not a witlof person. Having it braised got rid of the usual bitter taste. I thought this dish was quite pretty hence the back and front shot. I’m trying to be good here on my first day back in Sydney so I coerce Flic into sharing a dessert with me. 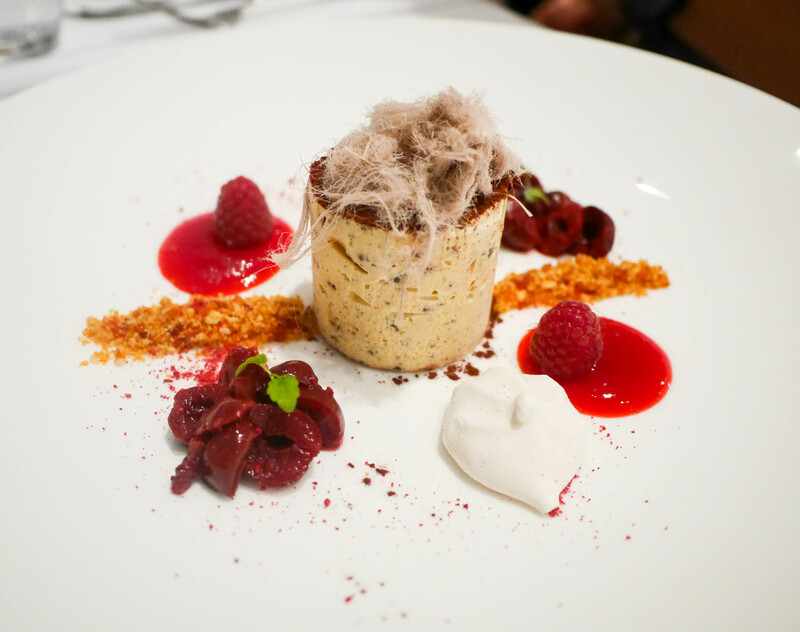 It was a tough decision to make but ultimately we went with the dark chocolate and honeycomb parfait, meringue, dried raspberry and lemon balm ($9). Separately, I love all the components. It’s usually a matter of getting the proportions right so it doesn’t end up tasting like an overly sweet crunchie bar or heaven forbid, another sour course. There is a happy ending for both Flic and I here as we declare this as possibly the best course we’ve had for the night. A very well balanced dessert that wasn’t too overwhelming on the indulgence with chocolate due to the lemon and dried raspberry. 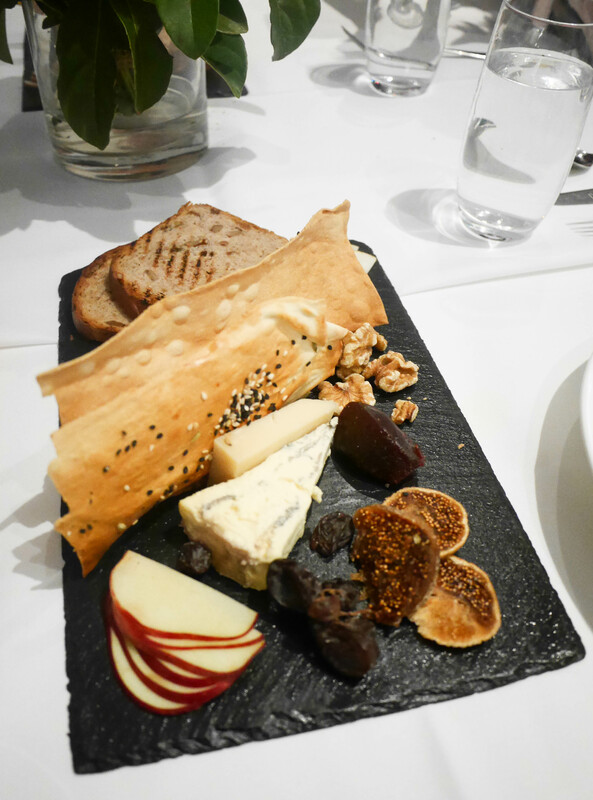 We also end up getting two cheese platters ($11 each) to share with the rest of the table. Apologies for the less than stellar photography lately, I’m still playing around with lenses/trying to figure out what I’m doing. I thought this was quite good value for $11 and particularly because it was split between eight of us, it didn’t do much to raise how much we would have to pay individually. William Blue Dining isn’t too bad considering the price point as you get some fantastic service and a really good ambience. The food didn’t quite blow me away, which is well, the main reason I go to eat anywhere. I would probably prefer to pay a little less to eat more outstanding food in a less pretty location. Or pay a bit more to get the whole package. 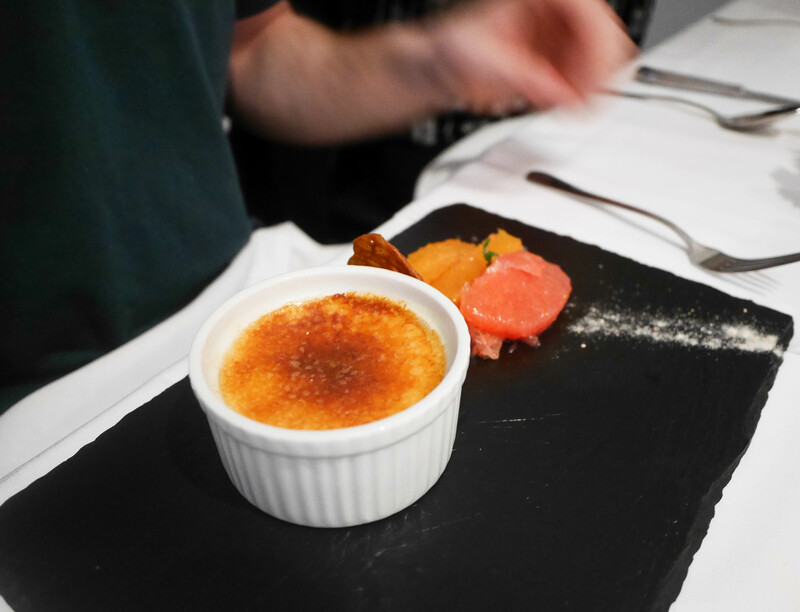 I reckon William Blue Dining makes a really great first-couple-of-dates spot where you want to impress without burning a hole through your wallet.